Brazilian cuisine is one that the Baron and I are particularly fond of. 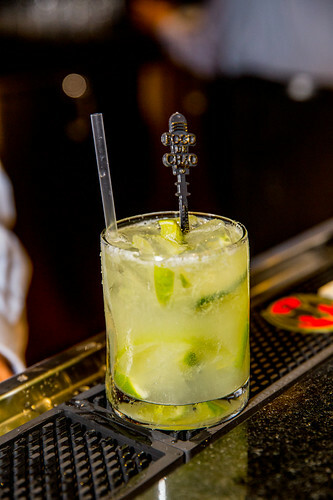 We love our share of grilled meats and other Brazilian fare such as Pão de Queijo [Brazilian cheese bread], Feijoada [the national black bean stew], and so much more. 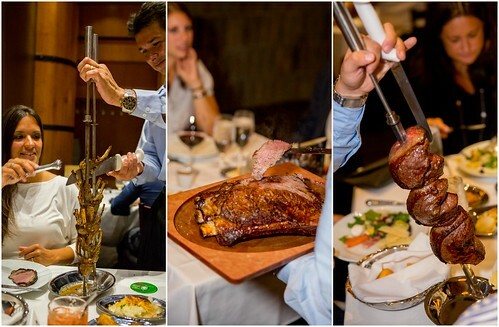 Since we couldn't go to Brazil to enjoy these authentic foods, the next best thing was to go to our favorite Brazilian churrascaria or Brazilian barbeque, Fogo de Chao. The story of Fogo de Chão® began in the mountainous countryside of Rio Grande do Sul in Southern Brazil, where its founders were born. Growing up, the brothers were immersed in the centuries-old Gaucho culture, a rich blend of traditions from European immigrants and Brazilian natives. An important element of this culture is churrasco, the Gaucho way of roasting meats over pits of open fire for delicious barbecues, which is always present at every festive occasion, especially family gatherings. The young boys would learn how to grill the meats the Gaucho way from their fathers, becoming the caretakers of a culinary tradition passed down from generation to generation for over three centuries. In 1975, the brothers left their homes in the heart of the hill country and went to Rio and São Paulo. There, they worked their way up starting first as waiters, then as assistant churrasqueiros, and finally as churrasqueiro chefs, all the while developing the Fogo de Chão concept. In 1979, the first Fogo de Chão opened its doors in Porto Alegre, combining the best of the centuries-old culinary tradition of churrasco with a focus on exceptional customer service. 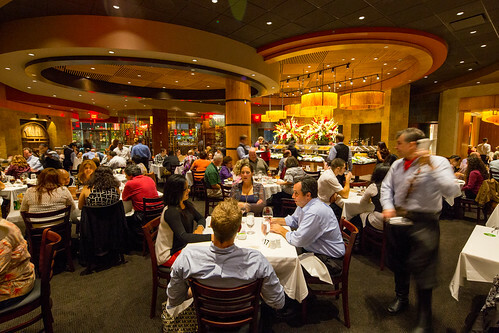 In 1986, encouraged by the success of their restaurant and frequent requests from out-of-state customers, Fogo expanded their business to São Paulo, Brazil's largest city. 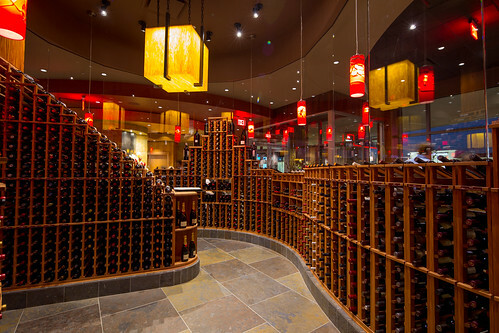 In 1997, in response to the continuous requests of their loyal American customers, Fogo exported their concept to North America, opening the doors of the first U.S. restaurant in Dallas, Texas. 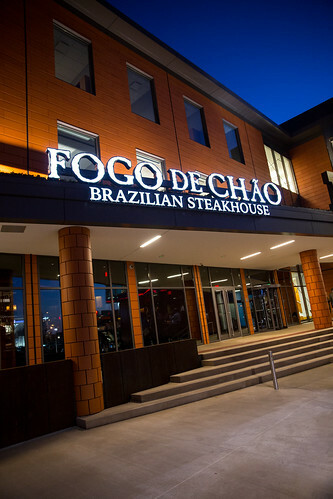 After years of challenging work and dedication to excellence, the Fogo de Chão team has opened locations in several major U.S. cities. However, the journey is not over yet. Their heart is set on expanding and continuing to draw from their passion for sharing their culture and preserving the authentic, centuries-old tradition of The Gaucho Way of Preparing Meat®. When we received an invitation to attend the grand opening media event for the newest Fogo de Chao location in Rosemont, IL, we were thrilled! I've previously dined in the downtown Chicago location and have had exceptional service and wonderful meals there, so I knew the Rosemont location wouldn't disappoint. In fact, our experience was perfect and I cannot wait until our next visit. Now this is the part that The Baron was particularly excited about... the gauchos coming by with their swords of meat. Top sirloin, bottom sirloin, ribeye, filet mignon, beef ribs, pork ribs, pork loin, lamb, chicken and sausages made their way to our table... all of which were perfectly prepared with options of rare, medium, well to please everyone. The hard of dining here is to pace yourself and to also balance out the delicious offerings from both the salad bar and the gauchos. 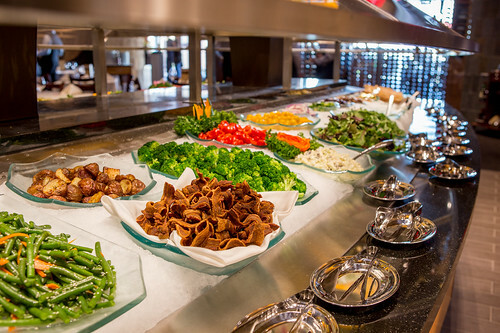 Oh, and did I mention the side dishes that are also brought to your table to enjoy with your meal? [As if the salad and meats weren't enough!] The meal also includes limitless service of traditional Brazilian side dishes including pão de queijo, crispy hot polenta, garlic mashed potatoes and caramelized bananas. Fogo also offers optional side dishes of rice and black beans, and farofa upon request. Just when we thought we didn't have room any more in our stomachs, we were offered dessert. In our minds, we figured we had to find room just to complete the experience. The popular dessert to order is their Papaya Cream. The reason why it's so popular is because papaya is said to help aid in the digestion of the meats. 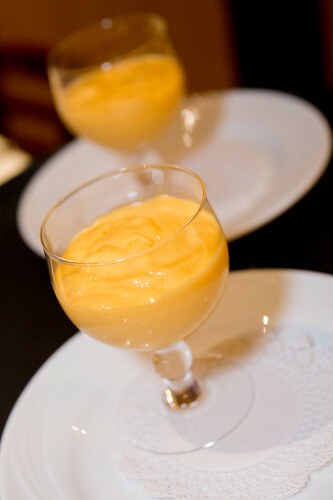 And after such a meal, having a little papaya cream will actual do your body and digestion system good! Overall, it was an amazing experience and a dinner date night the Baron and I will remember for quite some time. The menu was one that catered to everyone - including vegetarians, vegans and even gluten free diets as well too. 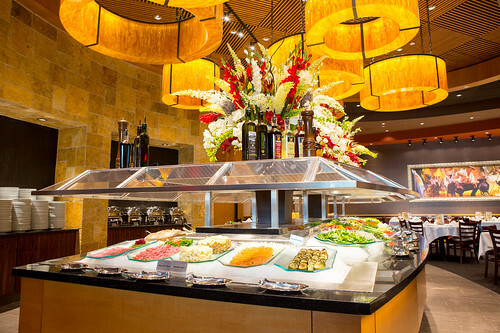 We've been to other Brazilian churrascarias in the area but none will ever come close to what Fogo de Chao provides when it comes to ambiance, quality, service and overall food. 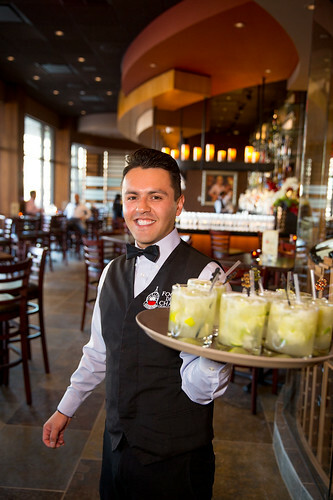 Fogo de Chao have several locations all over the country as well as in Brazil. If you're in the Chicagoland area, definitely check out the newest location in Rosemont. With free parking and walking distance to other nightlife hot spots as well as the new Fashion Outlet Mall, it's a place you'll want to check out. We're already looking forward to our next visit! I haven't done Brazilian barbeque in 8 years!